A British geneticist said Thursday he may have solved the mystery of the yeti, after matching DNA from two animals said to be the mythical beast to an ancient polar bear. 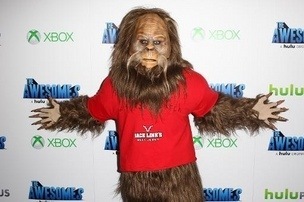 There have for centuries been legends about hairy, ape-like creatures, also known as “migoi” in the Himalayas, “bigfoot” in North America and “almasty” in the Caucasus mountains. The myth was given credence when explorer Eric Shipton returned from his 1951 expedition to Everest with photographs of giant footprints in the snow. 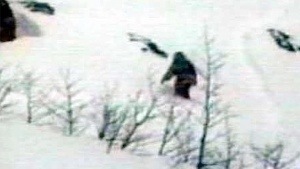 Eyewitness accounts have since fuelled speculation that the creatures may be related to humans, but Sykes believes they are likely to be bear hybrids. A reported sighting of the famous Abominable Snowman. He made a global appeal last year for samples from suspected Yeti sightings and received about 70, of which 27 gave good DNA results. These were then compared with other animals’ genomes stored on a database. Two hair samples came up trumps — one from a beast shot in the Kashmiri region of Ladakh 40 years ago and the other found in Bhutan a decade ago. “In the Himalayas, I found the usual sorts of bears and other creatures amongst the collection,” Sykes told BBC radio, ahead of the broadcast of a TV programme about his findings. The DNA from the Himalayan samples was a 100 percent match with a sample from a polar bear jawbone found in Svalbard in Norway, dating back between 40,000 and 120,000 years. Brown bears and polar bears are closely related as species and are known to interbreed when their territories overlap, according to Sykes. “This is an exciting and completely unexpected result that gave us all a surprise,” he said in a statement, adding: “There’s more work to be done on interpreting the results. “I don’t think it means there are ancient polar bears wandering around the Himalayas. But… it could mean there is a sub-species of brown bear in the High Himalayas descended from the bear that was the ancestor of the polar bear.